Our plumber is awesome, but finding other repair folk can sometimes be a gamble. We’ve often found it safer and less time-consuming (not to mention cheaper) to do many of our own repairs. The internet has been super-helpful in these home fixings that we normally would never attempt. Do you try to fix your own stuff or just call in a professional right away? How about routine maintenance like caulking? (DH just did some of that too. He’s so manly!) What’s your line for calling a professional? If you do it yourself, how do you figure out what to do? p.s. 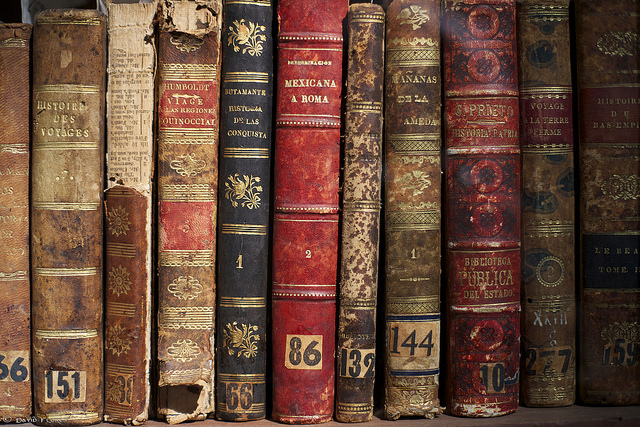 It’s writing week over at Lifehacker! Go to lifehacker.com and check out their numerous posts on how to hack your writing habits. 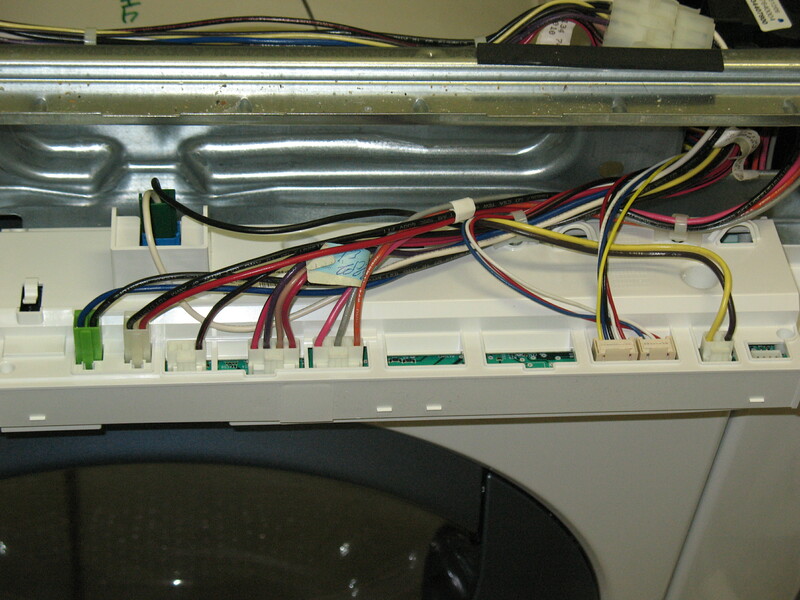 This is the electronic clothes washer panel area that DH took apart, fixed, and put back the other week. It was making weird random beeps and wouldn't do all cycles. A thing in the dial had been bent and he fixed it. (Savings: A LOT. Cost: Nothing but time.) Also note brilliance of taking a picture *before* taking everything completely apart. We do everything ourselves. The only thing we farmed out of our house remodel was 1. Installing furnace, 2. installing granite countertops 3. refinishing hardwood floors. Everything else, we did. roofing, plumbing, electical, tile, windows, doors, gutting, you name it. We didn’t know how to do anything, just learned as we went. My BIL is a contractor, so he came out when we roofed and took out a wall in our house to advise. I just farmed out the painting of one side of our house and 2 days later it peeled because it was too cold and wet when the guy painted it. This is why we do everything ourselves because most of the time the contractors around here are inept, unreliable and cocky to boot. He told me “it’s not anything I did wrong”. Oh yeah, and they treat me like I’m an idiot woman who doesn’t know what she’s talking about. HATE THAT. What do you use to learn things as you go along (besides the BIL contractor)? Mostly trial and error, sometimes books, sometimes the internet. I’ll usually get the basics off the internet and then you just learn as you go. My husband’s very logical so he usually sits and stares at something for a long time before actually doing anythiing with it. I just sort of dive in and think about the consequences later. hee! That sound fun. My DH is also a sit and starer. Though he’s big on the internet as well. Home repairs is one area where it works in my favor to be renting out a room in the house. My house is now a business asset, so repairs made to it are a business expense. Since I’m not renting out the room for very much, my expenses (house maintenance indoors and outdoors, plus utilities) are higher than my business income. A business loss is a big tax advantage to me. I do smaller repairs (such as snaking a slow drain, replacing a broken latch on the gate, etc.) myself. But when my dryer broke down late last year I called in a professional. Other things I’ve had professionals take on this year are: spot tuckpointing, add some additional downspouts to the gutters, replace a rotten fence post, and clean up the overgrown flower beds. I think the latter one I could have done myself, but it would have taken me many hours that I just don’t have. I’m so behind on garden chores. I still have to get my garlic planted! Interesting. I didn’t know you could do that with the taxes. We’ve had such bad luck with gardeners and landscapers and it was taking so much time and aggravation to deal with them that DH decided to just deal with it himself. For a while we had someone we liked, but he sold his company when he graduated from college and the person he sold it to almost killed our lawn. And the HOA certified letters cause stress when that happens (especially after you’ve already paid hundreds of dollars for someone else to take care of things). Thank goodness it’s fall. I like backyards… not a big fan of anything that the HOA can see. We typically call a professional, but occasionally I take care of something myself (or with a friend or family member). It’s just a preference I guess. If I felt like I had more downtime, I probably would try more DIY projects though. We’d love to hire someone to take care of things but it’s so hard to find someone good. I keep thinking we should hire a personal assistant just to deal with all of the things… but we’d have to find someone good and that would take time and effort (and money too). We do absolutely nothing ourselves in terms of repair work. My husband is great at his job, but not so great around the house. I would have to send him to a hospital if I told him I took apart the dishwasher and he had to repair it and put it back together. Not only did my DH replace the engine, but he took it apart afterward and figured out what was wrong and what kind of engine it was (my small engines class in high school didn’t cover electro magnetic motors, just mechanical ones). Then he took the broken engine to work to show to his class. Engineers are awesome. I have to say, I’ve been really impressed by the gremlin-combat he’s been doing recently. He has, however, frequently quoted the statistic (which may or may not be real) about the #1 cause of death for electrical engineers being home repairs (apparently the wires are different colors). And the last time he did something with the lights we had to call an electrician to fix it. And we ALWAYS call the plumber unless it’s basic toilet repair (which both of us are skilled and practiced at… this gremlin started out as a plumbing gremlin and has been following me around since high school. His name is Fred.). Our absolute, final, seriously-we’re-not-kidding rule is that if it’s structural (e.g. removing a load-bearing wall) then we hire someone else at least for guidance. Septic tank or field, we hire someone, ditto furnace. Anything substantial and electrical (more than say replacing an extant fixture) we would typically hire someone. Other stuff we often do ourselves though it does depend some on how much time’s involved and how complicated it is. Over the years, we’ve painted the entire exterior of our house, reshingled the entire roof (without buying a nailing gun, which to be honest was … dumb), removed a fiberglass bathtub and replaced it with porcelain/tile, and tiled our entire kitchen floor (and counters), dug a ditch for a “french drain” in the front of our house, by hand, and replaced our hot water heater, so we’re reasonably handy and reasonably dedicated (or is that broke?). Wow! That’s impressive! We haven’t done anything that extensive yet, though DH replaced some rotted boards on our deck this year (more gremlins) and resealed the entire thing. We did hire someone to replace the water heaters when they died right after we bought the house but I think there was some kind of law that it had to be certified by someone or something and maybe the installation came free with the purchase. I’m not sure the details (and we don’t own a truck…). We ended up not buying a house because they removed a load bearing wall to make a fantastic kitchen. The ceiling was dipping a bit in the middle. We do own a truck. It helps. DH is repainting the house at the moment, actually (that sounds sexist, but it’s not … I did most of the roof awhile back, but he’s currently out of the paid workforce by choice and I’m in it, so there’s a big differential in available time), and … where was I? Oh, yes. He’s had to replace several sheets of siding and having the pickup to carry it in does simplify things, for sure. Though our (stumpy) water heater would probably fit in the back of my station wagon, as I think about it. OK, wait, there was *some* sexism: when we were redoing the roof, we figured out pretty quickly that it was better for me (female) to go to the store to buy the shingles solo, find some guy who worked there, and ask if he would help me load said shingles onto the cart. This almost invariably led to him not only loading the shingles onto the cart (solo, despite my offer to help), but also into the vehicle. Whereas if DH and I went together or he went solo … no help. However, even with help at the sales end, we of course still got to unload them at home and then get them up the ladder. That makes sense. Ours is gas. And pretty big. My DH is currently in the kitchen (where men belong ;) ) taking his bread out of the oven. I wish I hadn’t already brushed my teeth. Mmmm, fresh bread. Might be worth investing in a second squeeze of toothpaste. Even the frugal splurge sometimes, ya’ know! Haha! No, not frugality… my bigger problem, weight-gain. Tooth brushing is a great commitment device. Plus… with the rich beef barley stew DH and I made in the crock pot, rich with wine and tomato sauce, followed by the Italian cream soda, with Knudson carbonated tangerine juice and fresh whipped cream… I probably got more than enough food at dinner! DH cooks when he’s stressed… it’s a difficult time of year. Mr FS and I have complementary frugality. I am a good shopper. He tries to do everything himself. Love him! With home repairs/improvement there are short-term and long-term trade-offs that I balance. Time is money, so hiring someone may take less time, I have to pay more, and I expect the workmanship to be good so there is hopefully reduced upkeep. Alternately, I spend the time, save some money, may make a mistake that a professional wouldn’t, and I gain skills for the future. If I expect to benefit from those skills in the future, then I’m more likely to do-it-myself, but if it’s a rare repair (replacing carpet with wood floors) then I’m more likely to hire a professional. That’s a really good point. I sure do get a lot of use out of those toilet fixing skills I gained early on. We do everything ourselves. Right now I have to fix our dryer. A mouse climbed into the dryer vent and died….these are the moments I think just cause I can do it doesn’t mean I want to! Every time I go to my friends house her husband has a small to-do list for me. I’m such a sucker!